Little Hands Hawaii Sunscreen- This is a non-nano zinc oxide sunblock. It's made with organic olive oil, organic shea butter and beeswax, too. This is the kind that will show up white but will work fantastically well and is safe for babies. I'm not super familiar with solid sunscreens and this has lavender in it so I can't use it anyway. Bummer! It's so handy for travel! 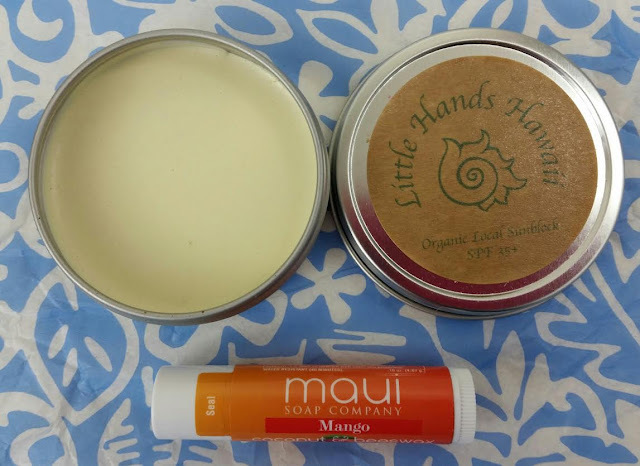 Maui Soap Company Lip Balm- Mango flavored Coconut & Beeswax lip balm! Soothe and protect with Maui Soap Co.’s flavored island lip balms, sweetened with stevia and enriched with shea butter. 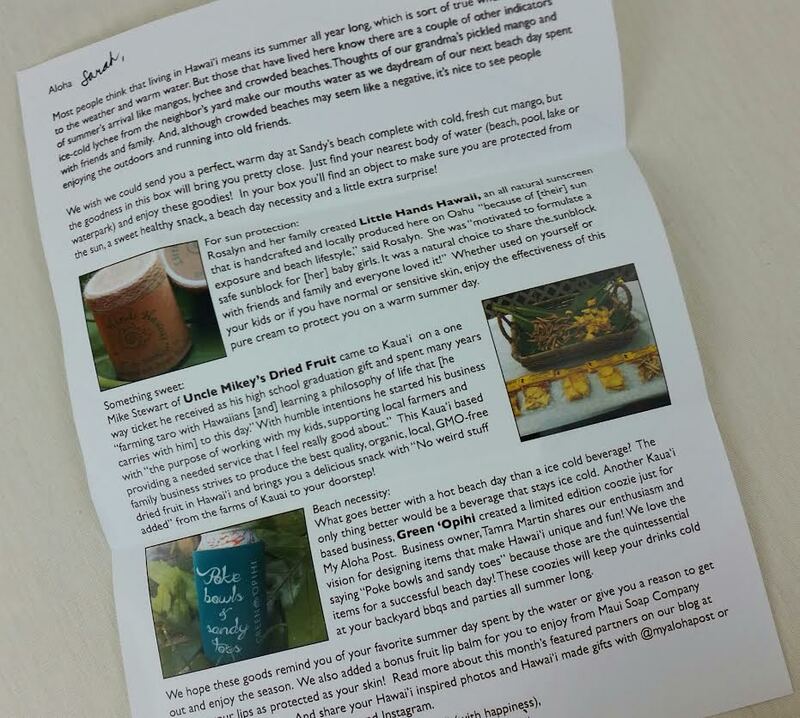 Since I'm a lip balm junkie, I loved receiving this. Uncle Mikey's Dried Fruit- This is straight fruit with no funny stuff! No anything, actually. The pineapple is my favorite and it's nice that this is a variety pack so you get a taste of everything. This is a family owned company that supports local farmers. 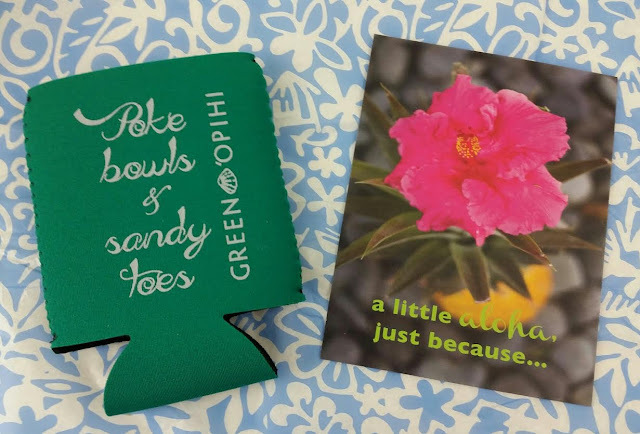 Green 'Opihi Drink Koozie- Now you can have a reminder of how much you wish you were in Hawaii while keeping your beverage of choice cool. This is a sturdy, well made koozie that says "poke bowls and sandy toes." Both of which I had right now. 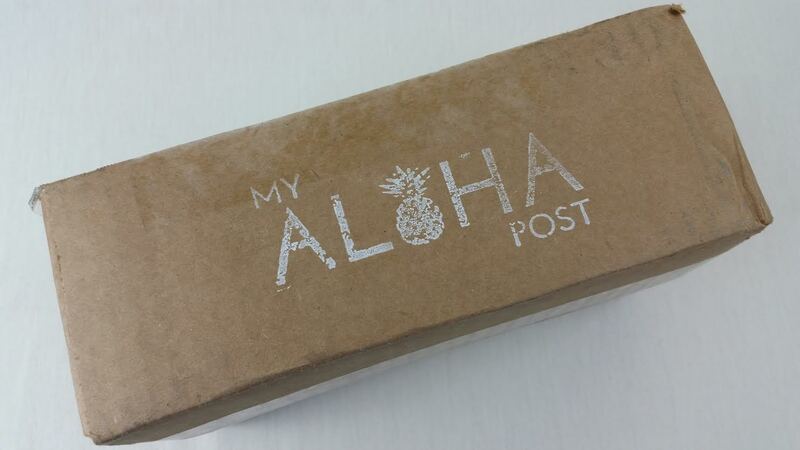 VERDICT: I absolutely love the aspect of My Aloha Post that supports local artisans and small businesses. I think this helps give an authentic experience to the box. With that being said, the value of the box is low compared to the initial cost. I would like to see a value at least equivalent to the price paid. 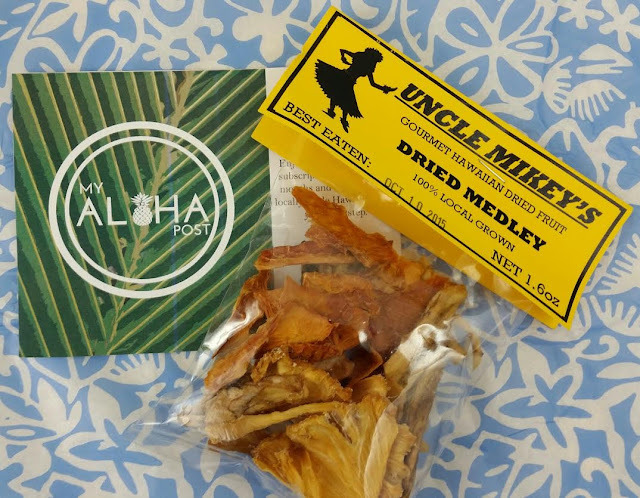 However, if you're looking for a way to get a little Hawaii in your life, this could be a good way to do it while supporting a small business owned and operated by women. 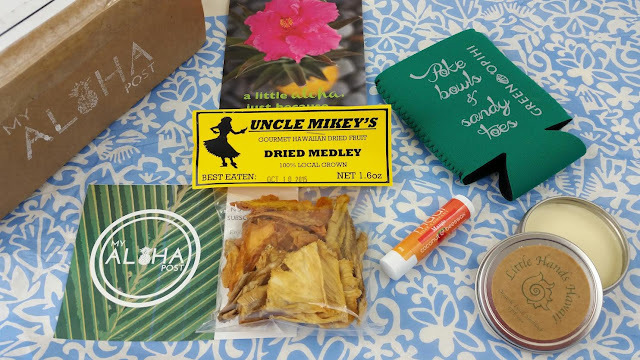 Box contents can contain anything from what you see here to trinkets, artwork and handmade candies. I think I would hope for something edible in every box. If you would like to sign up for My Aloha Post, you can do that right here. Use code bitsandboxes to receive 10% off your first box. Expires Nov. 1.